Even the best drivers are prone to an accident. It is a reality of driving on the roads in modern society. Some accidents are much more serious than others, with rollover accidents having the potential to be the worst of them all. This is a life altering event that may very well change everything for you. Not only will you have physical injuries to deal with, there is also the emotional toll that such an accident can take on you. It might be difficult to hold down your job, and you might find it unbearable to ever get behind the wheel of a vehicle again. On top of all this, you will have legal issues to take care of. Do not fight this battle alone. Contact a lawyer, such as the one found at naqvilaw.com, right away in order to get the help that you need. The first thing to do after a rollover accident is to make sure that you and any passengers are ok. Do not worry about anything else until you are sure that your own needs are taken care of. Upon doing that, you will want to make sure that police have been called to the scene of the accident. This will generate a police report that details what happened and it will prove invaluable to your lawyer as he or she seeks to get you the financial compensation that you need and deserve. You will also want to gather the contact information of any other involved parties in the accident. If you can get information from any witnesses that stopped, this will prove helpful to your lawyer as well. If you have a functioning smart phone, take some pictures of every possible angle related to the accident scene. Do not worry about whether or not the pictures that you take will be helpful. The key is just to take as many as you can, and then you can let your lawyer sort them all out. This helps the law firm to establish cause and to have something to take to the insurance company when they enter into settlement negotiations. You might also find it helpful to take a video of the aftermath of the accident, particularly if there are witnesses that have stopped to lend their assistance. 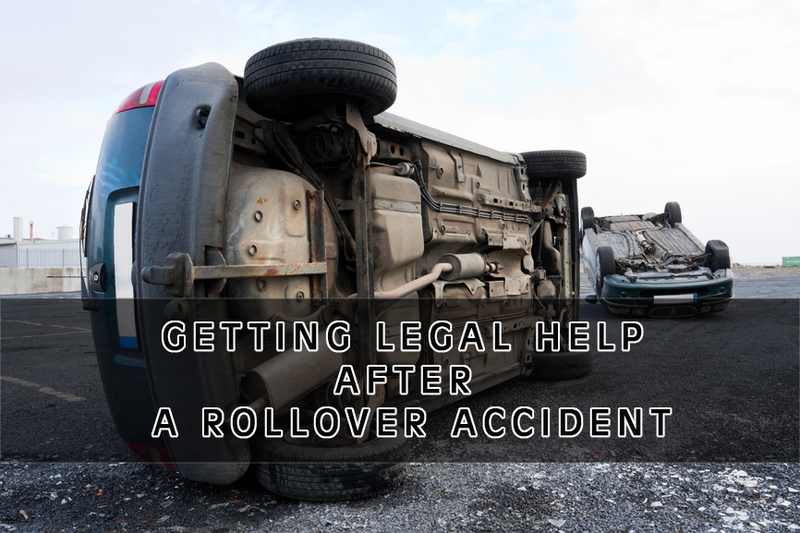 Once the initial shock of a rollover accident begins to wear off, you will likely be hit with a mountain of affairs that you need to attend to. Many of these are personal in nature and require your full attention. You do not want to have to deal with insurance companies and a possible legal battle in addition to that. This is why you will want to consult with a lawyer right away. A professional attorney will immediately begin to deal with the insurance company and law enforcement agencies directly, so you can focus getting the rest and time to recover that you need.